His Divine Grace Srila Bhakti Siddhanta Saraswati Thakur Prabhupada is the founder of the Saraswat Gaudiya lineage and our illustrious spiritual teacher. 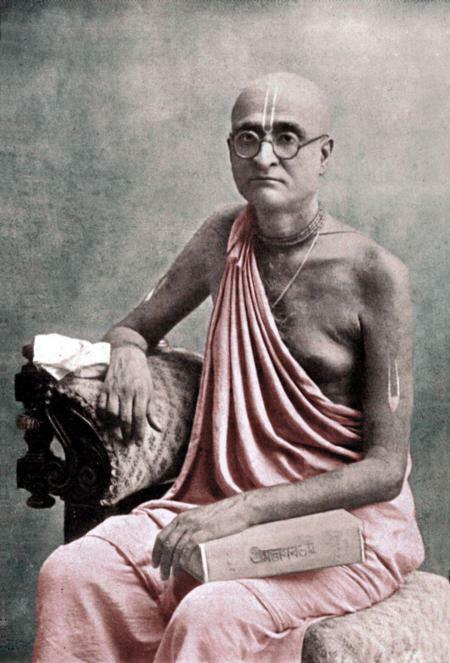 As the embodiment of pure Vaishnava teaching he is deeply revered both within our Vaishnava community but also within the world at large as an early twentieth-century progressive spiritual reformer.From an early age, his outward character resembled the power of a thunderbolt while his internal nature was soft and delicate like a lotus flower. Throughout his life he showed a single-minded determination to arrive at his spiritual objectives. The resolve with which he infused his spiritual practice is something we may take as inspiration in the pursuit of our own spiritual goals in life. Srila Prabhupada was born on 14 February 1874 in Jagannath Puri and departed from our vision on 1 January 1937 at Bagbajar Gaudiya Math in Kolkatta. Since his birth many miracles occurred in his life. When he was born, his umbilical cord was wrapped around his body like the sacred Brahmin thread. 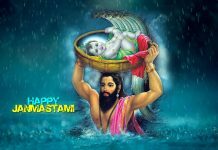 His family members were amazed to see this special occurrence and astrologers predicted that the newborn baby, called Bimala Prasad, would grow to become a world-renowned spiritual leader. In time, these predictions proved to be true. Later in life, before starting his preaching mission, Bimala Prasad took a vow and was determined to chant 1 billion names of the Supreme Lord within a very short period of time. 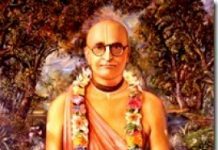 In 1914, during the course of this vow, Bimala Prasad’s spiritual master, Srila Gaura Kishordas Babaji Maharaj, departed from this world and the following year, his father, Srila Bhaktivinode Thakur, previously known as Kedarnath Dutta, also left him. In the aftermath of these two major events, Bimala Prasad considered that he would rather solitarily chant the Holy Name for the rest of his life than live amongst the people to spread the loving message of Sri Krishna Chaitanya Mahaprabhu. Then one day, early in the morning, while continuing to feel this way, Sri Krishna Chaitanya Mahaprabhu appeared to Bimala Prasad in a vision. 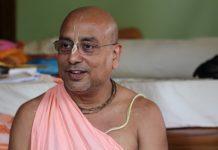 Sriman Mahaprabhu and His associates ordered Bimala Prasad to start spreading the teachings that Sriman Mahaprabhu himself had previously distributed to all. During the encounter, Bimala Prasad expressed concern that he had no manpower, wondering how it would be possible for him to spread this message. The unanimous response coming from this divine vision was that They would send him the manpower that he would need. After this incident, gradually spiritual and intellectual giants like Bhakti Vilas Tirtha Goswami Maharaj (Kunjababu), Bhakti Prajnan Keshava Goswami Maharaj (Vinod Da), Bhakti Pramod Puri Goswami Maharaj (Pramod Bhushan), Bhakti Dayita Madhav Goswami Maharaj, Bhakti Rakshak Sridhar Dev-Goswami Maharaj Bhakti Kevala Oudalumi Goswami Maharaj, and Bhakti Vedanta Swami Maharaj (Abhay Caran Dey) joined Bimala Prasad’s movement and established Sri Chaitanya Math in 1918. Sri Chaitanya Math was the first temple and preaching center of the Saraswat Gaudiya lineage. It is almost impossible to describe the charisma of Srila Prabhupada. In order to impart to his students that every moment of human life is valuable, Srila Prabhupada would not waste any time in his day. Even when he would go on early morning walks, many of his disciples would follow him with pen and paper, as during these walks he would dictate various different articles to multiple disciples at a time. Srila Prabhupada also led by example on how to practice spirituality in a way that is compatible with the contemporary world. He showed us the importance of adjusting our practice according to time, place, and circumstance, while still keeping our focus firmly fixed on our spiritual goal. He revealed to us the meaning of managing our life and our spiritual practice in harmony with the world. To aid this devotional practice, Srila Prabhupada also established many temples all across India. In particular the Yogapit temple at the birthplace of Sri Krishna Chaitanya Mahaprabhu in Sri Mayapur Dhama is very well-known and has a profound history. Srila Bhativinode Thakur described this temple as ‘adbhut mandir’ (lit. incredible temple) and this wonderful temple was made under the guidance of Srila Prabhupada. Moreover, during the challenging time when India was ruled by the British government, Srila Prabhupada was able to establish 64 temples in order to inspire people to chant the Holy name and take to heart the affectionate teachings of Sriman Mahaprabhu. Several decades later, we are trying to make our lives successful by following in his divine footsteps. Today, I am humbly begging Srila Prabhupada to please bestow his blessings unto me and to allow me to carry Sriman Mahaprabhu’s mission with purity and under his shelter and the shelter of his associates, for the rest of my life.